The dream of the 1790s is alive in Meryton. 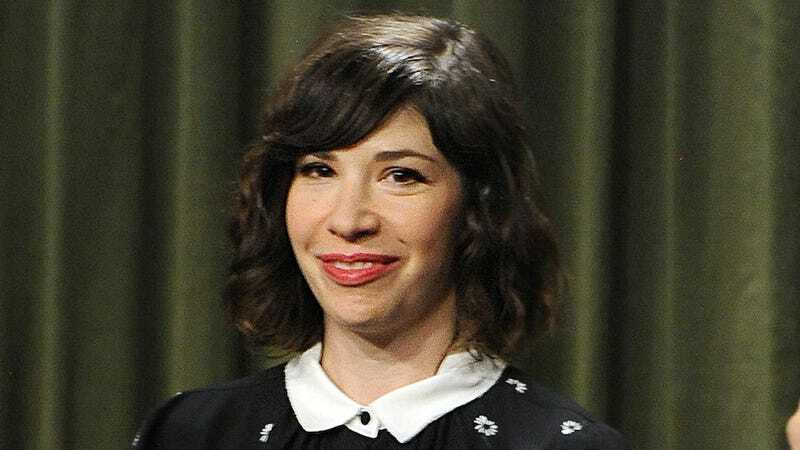 Portlandia co-creator, co-writer, and co-star Carrie Brownstein has stepped in to pen her first feature film—a project Nora Ephron was working on at the time of her death in 2012. Multiple outlets have reported that the film, Lost in Austen, tells the story of your typical Brooklyn girl who somehow lands in the world of the landed gentry after being transported into Jane Austen's novel Pride & Prejudice. Lost in Austen is technically an adaptation of a 2008 British miniseries by the same name, and Nora Ephron had begun developing it as a film for Columbia Pictures. This is pretty awesome, and I'm confident that Brownstein will pull it off swimmingly.